same as for any streamers, for the Antiwobblers I use the 0,1 mm mono line instead of the tying thread. 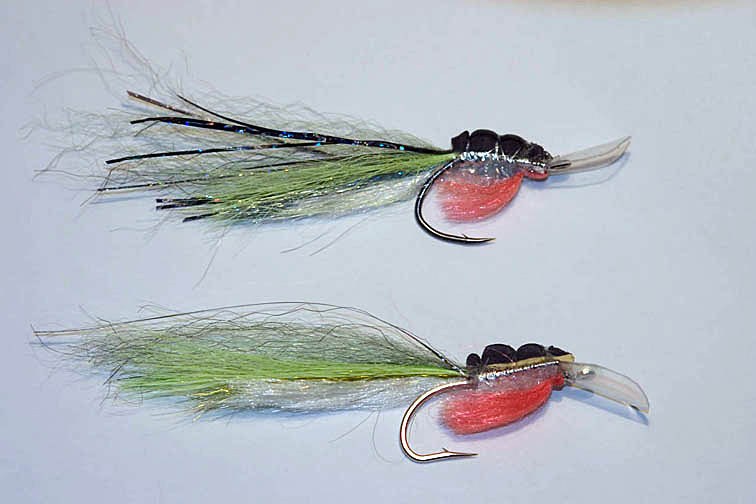 This makes it possible to create a semi-clear fly, very similar to young pelagic baitfish. 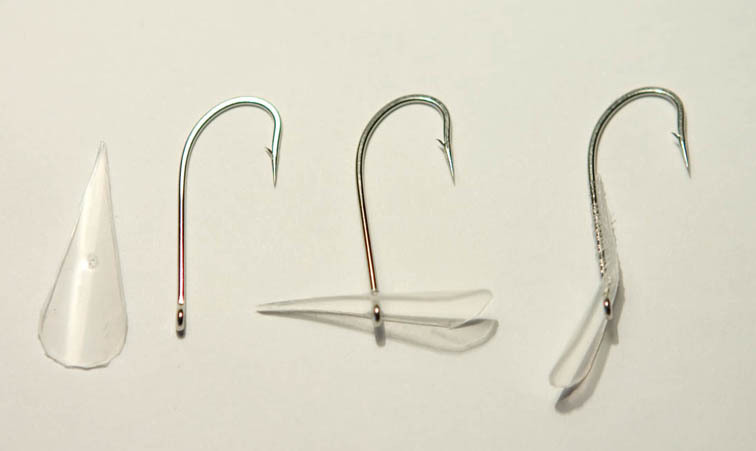 Any long or medium shank hook with a straight eye and heavy wire can be used. The TMC 811S hooks are one of the best types. The «billet» for the Antiwobbler consists of a hook and a plastic blade. The approximate size of the blade of a fly on #4 hook should be 10-12 by 6-7 mm; if the hook is 1/0, it should be 13-17 by 7-10 mm. These sizes consider the «active» part of the blade in front of the hook eye — without a narrow «tail» of the blade. 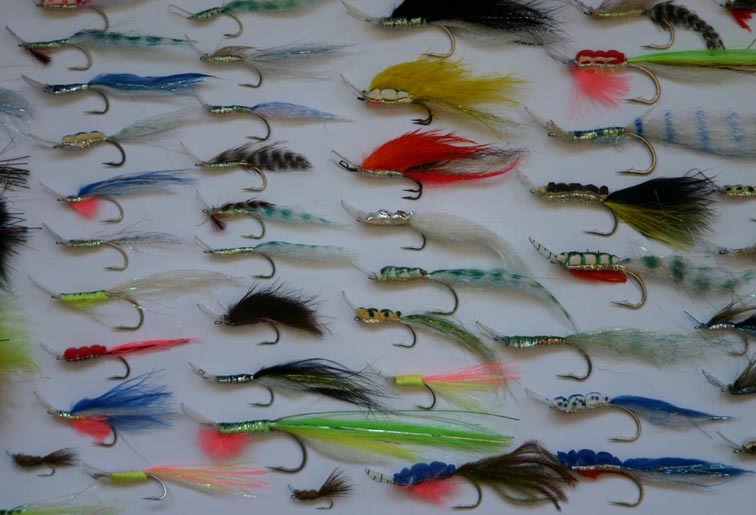 On this simple base you could tie the Anti-wobblers of three main types: 1- with a foam back, 2 — Matukka style with a back out of a feather, and 3 — the simplest fly which has only hook, blade, body & tail. 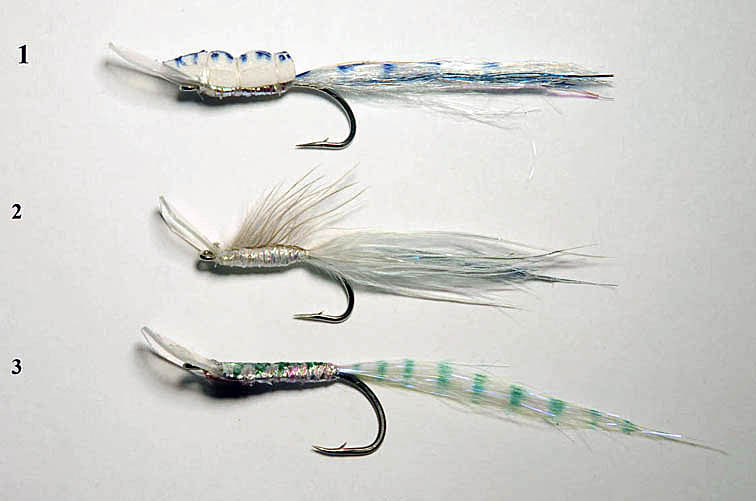 All 3 flies below imitate little Cyprinid fish; I use them for catching pelagic predators in the Amur River. 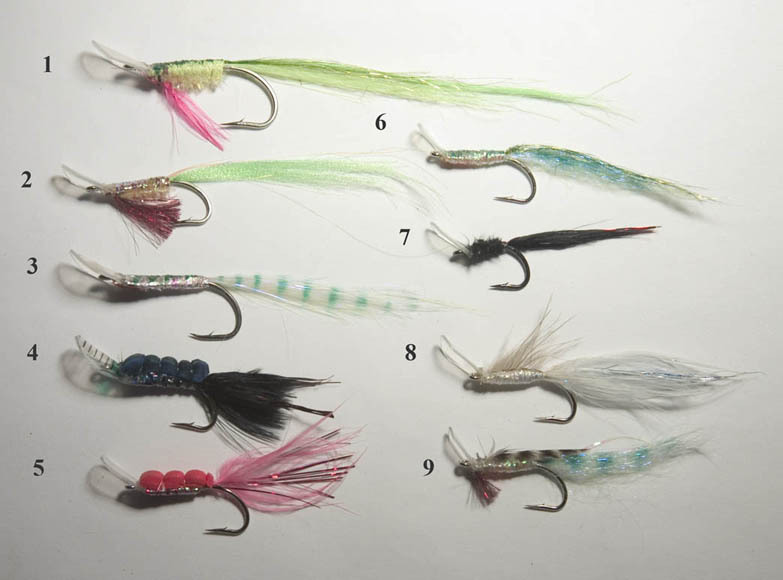 Anti-wobbler models which were catching fish: 1, 2 — pink salmon in salt water; 3, 4, 5, 6, 9 — pink salmon in a river; 4 — lookup in the Amur River (night); 3, 6, 8, 9 — lookup and skygazer in the Amur River; 6 — Amur ide; 7 — lookup.